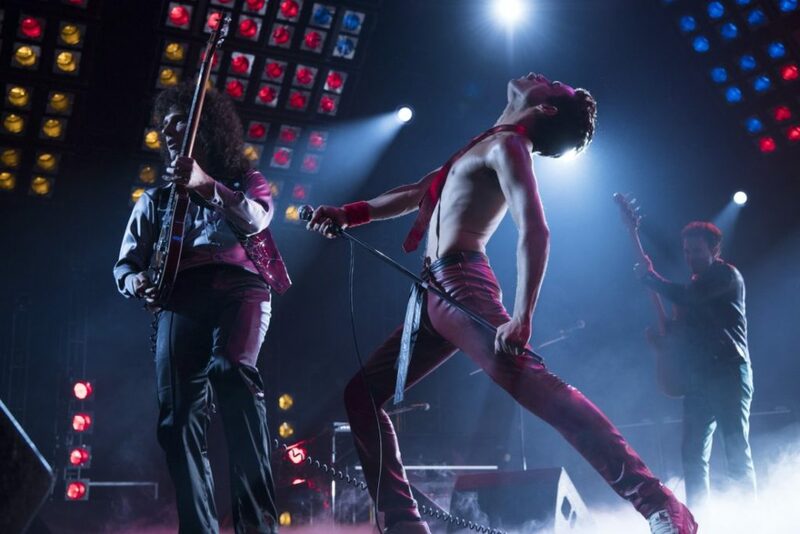 Directed in tandem between Bryan Singer and Dexter Fletcher, Bohemian Rhapsody follows Freddie Mercury (Rami Malek) as he joins the prolific rock band and helps them reach infamy, culminating in their renowned performance at Live Aid in 1985. If one thing is for certain, it’s that the filmmakers had no easy task when it came to narrowing the field for which stories to tell and songs to sing. 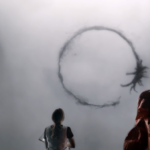 With every track being so recognizable, there was the chance of bloating the film with too much music, and losing the story or any semblance of plot along the way. However, that didn’t end up being the case at all; Bohemian Rhapsody treated the events of the story as a travel guide for the musically uninformed, and that story balanced well with the band’s iconic music. Assisted by clever editing, experimental camera angles and selective storytelling, Singer and Fletcher knew that those coming to watch weren’t as interested in the drama behind the scenes, but the magic behind each note created. Of course, while there were four members of Queen, there was a very deliberate choice to focus on the lead singer, Mercury. An enigma, both in his unimaginable talent and his controversial persona, he is the member that best defines Queen, and therefore the one to follow as the audience slowly comes to grasp with all they represent, for past and future fans. The way it’s told takes you on a ride that has you strapped to your seat while you bop your feet along to the fantastic soundtrack, something that was never going to be called into question given the historical repertoire that Fletcher and Singer had to choose from. When it comes to the characters themselves, the entire cast does a solid job. Malek gives a stand out performance as Mercury, transforming himself with a majestic mustache, a number of wigs, a pommy accent, and some accurate buck teeth, but it’s the emotion and passion he captures that will really have you hooked. No matter what he’s doing, you can easily believe it is Freddie you are watching. To say that this role is a defining one in Malek’s career is an understatement, and definitely worth the price of admission on its own. 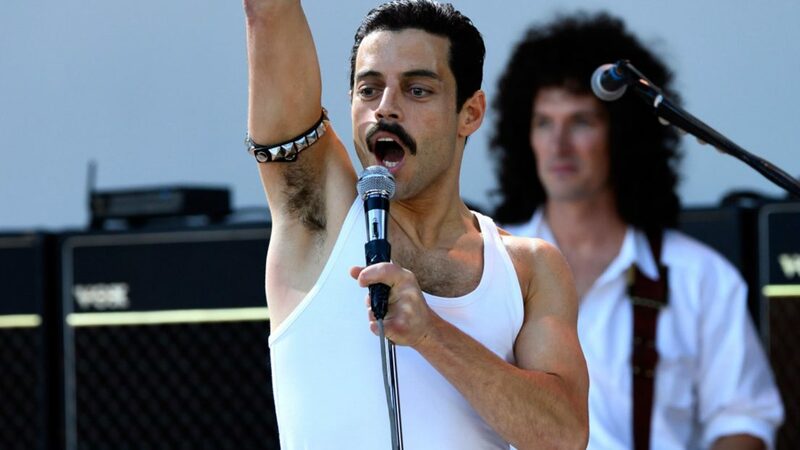 The combination of this eclectic style filmmaking and the powerhouse of Malek comes to a head at the end of the film, when a recreation of the Live Aid performance is shown in all its glory. Seemingly transporting you to 1985, it will leave you with tingles on your arms and tears in your eyes. 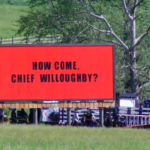 While there is much fun to be had throughout the film, there are still some issues present. 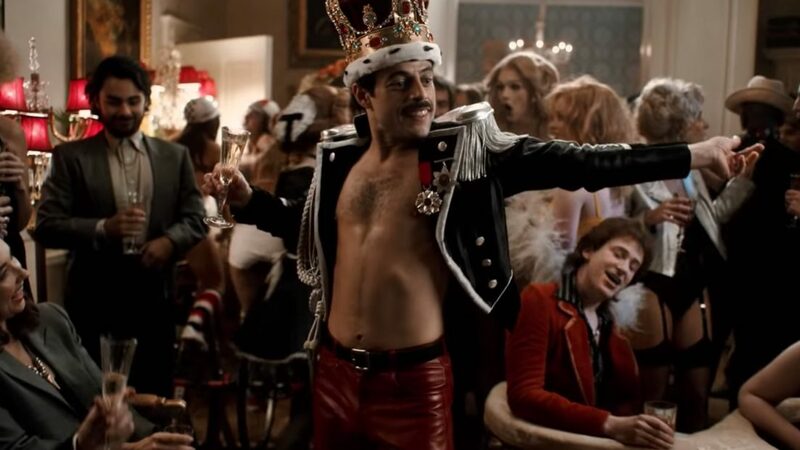 Though we do get a good look into the life of Freddie Mercury and his time in Queen, some events of the film might be viewed as a bit shallow. The real tragedies and hardships that might have befallen the members of the band are very quickly glossed over, and erased with either a time jump or a simple reprieve of tension. And while audience members who are well versed in the lore of Queen will be able to feel the history through the representation of its music, those who have come with little to no knowledge might possibly find themselves wanting for more. This is a movie that is certain to divide audiences, but it’s up to them to decide which kind they want to be: the ones that want to have fun, or the one’s who want to be convinced. 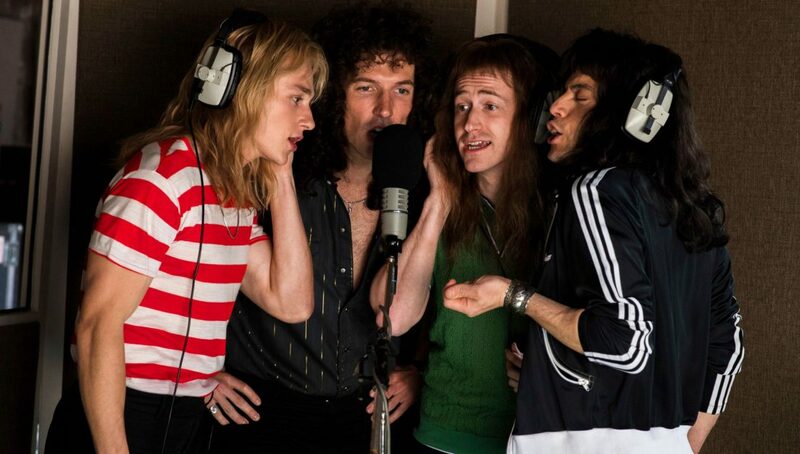 Subtle in its dramatic plotting yet commanding in its musical wiles, Bohemian Rhapsody is a story for the ages. Like Queen itself, it will leave you impressed by its unabashed gusto, and make you want to jump out of your seat and sing along to the music.